Of course, you can well imagine I would never write an article which discredits Canada or Toronto. I have lived and worked in Toronto for a year and visited the city several times as my husband is a Torontonian so I have been able to appreciate all that Toronto has to offer and I am more than ready to defend it! « Let’s all hate Toronto » is the title of a one-hour film in the form of a road documentary in which you can follow ‘Mr Toronto’ on a tour of Canada. 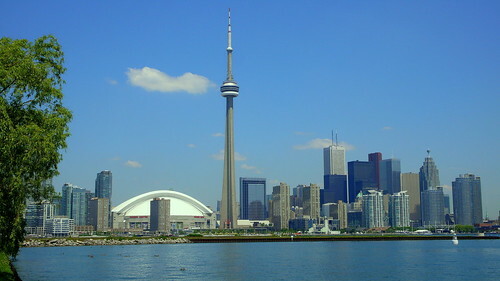 He will try to find out whether Toronto is actually hated by Canadians who don’t live there. It is a tongue-and-cheek (= à prendre au deuxième degré) documentary, don’t take it literally! Watch it on HotDocs and browse (= parcourez) this website on which you can find documentaries by Canadian filmmakers. This entry was posted on mars dimanche, 2010 at 10:41	and is filed under Canada, Read or watch. You can follow any responses to this entry through the RSS 2.0 feed. You can leave a response, or trackback from your own site.